Nature of the project : AgroCenta is an agricultural technology platform that connects smallholder farmers to a larger market to trade. 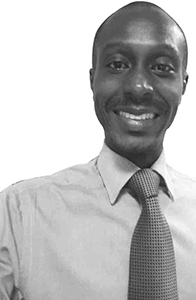 Biography: Francis OBIRIKORANG is the CEO/Co-founder of AgroCenta which is a technology platform in the agricultural value chain in Ghana that focuses on using innovative technologies to empower smallholder farmers. 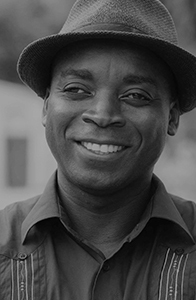 He began his career by working with Esoko which is an agricultural technology platform in sub- Saharan Africa that focuses on giving market information to smallholder farmers via mobile technologies (SMS and Voice). 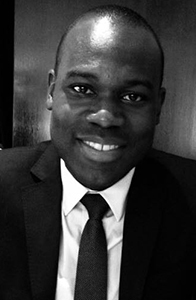 Francis currently leads AgroCenta management and is in charge of business strategy, company growth and innovations. AgroCenta has chalked many successes both locally and on international stages such as Fincluders Startup Challenge organized by SANAD Technical Facility, Finance in Motion and Oasis 500 in Amman, Jordan, SeedStar Accra Winners, Westerwelle Foundation Young Founders Program 2017 and recently won second place at the Pitch Agrihack Competition (advanced category) in Abidjan. Nature of the project : HADWIGER is an operator of digital solutions with strong added values, expert in digital, connected universes and Big Data. Based on a strong consulting firm of experts in technology, processes and business issues, HADWIGER supports industries in integrating new technological tools. 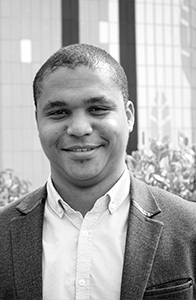 Biography: Arnaud Serge ZOHORE is a doctoral candidate in the public economic law and CEO of the startup GZconseil SARL. He works for two years in a law firm as a lawyer. He also managed a business center over a period of twelve months. Nature of the project: Financial platform enabling its members to benefit from purchase, employment or training opportunities through partnerships in 40 countries around the world via a Sim mobile banking card.. 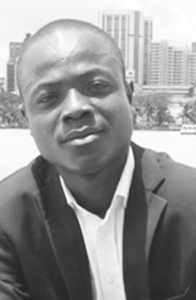 Biography: Lionel YAO is an Ivorian entrepreneur. He is currently leading a social and financial impact project for unbanked people. 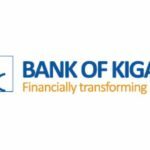 Via the digital this device will give them a financial identity to benefit from savings, credit through the African tontine, payment solution. 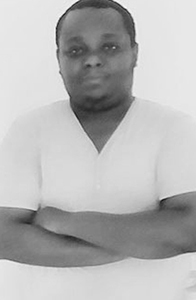 He was passionate about computing at the age of 13 in college and then studied electronic and computer systems. Motivated by the conviction of becoming an entrepreneur, he learns the development of companies via the MOOC platforms. 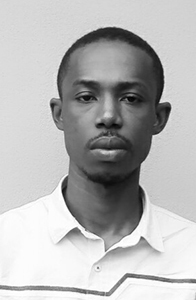 Winner and Finalist of several competitions such as Ampion, Seedstars, Get in the Ring, CGECI Academy and the Jeunesse Numérique Foundation, he is supported by the incubator of the General Confederation of Enterprises of Côte d’Ivoire (CGECI). Nature of the project: CREEZUP is the first self-professional social network in Africa. An innovative web and mobile platform that promotes business and entrepreneurship. 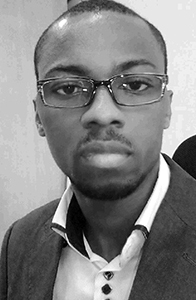 Biography: Charles KOI ABYCE young entrepreneur from Ivory-Coast, 28 years old, born in Abidjan. Student in Master of Economics and Management at UFR SEG University Félix Houphouët Boigny Abidjan. Passionate about new technology and frugal innovation, because I understand that this is the key to a sustained economy of scale. Nature of the project: Promotes the emergence of innovative and sustainable solutions for energy transition, and supported by its expertise in the IT field, ExVIVO works in sustainable innovation. ExVIVO was born from the desire to use IoT, Big Data, Cloud technologies to develop innovative and sustainable solutions in renewable energies and energy efficiency, notably Smart grid, Smart city and Smart industry. 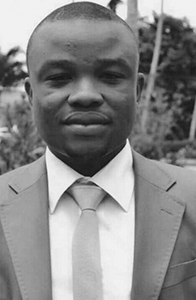 Biography: Daouda KONKOBO, 33 years, is a Green Entrepreneur, Data scientist, Data-Driven Innovator State Engineer in Optimization & Decision Support from the National Institute of Statistics and Applied Economics. With nearly 10 years of business application in various sectors EnR, Bank, Telecom & Education. 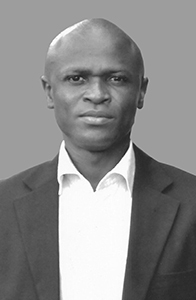 His professional background mixed to his academic background (Mathematics, Computer Science, Electricity, Geographic Information Systems, Operational and Statistical Research, Meteorology) allow him to design innovative solutions to complex problems including as well socio-economic and environmental impacts analysis. Nature of the project: MIELICE can be summed up in the production and marketing of packaged honey packed in different quantities and at different prices with various flavors. it is pure naturally flavored honey put in single stick stick. MIELICE was created to popularize and facilitate the consumption of honey. 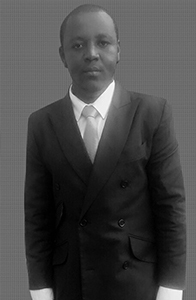 Biography: Born in TCHAMBA (TOGO) of Togolese parents in 19th February 1992, my name is AGOSSOU Badjèlèmè Rafiou. I am eleventh son in family of twelve Children with divers’ religion. In 25 years old, I have my bachelor in Human Resources Management after studding low. My leadership experience Begin with AIESEC in 2012. Today, I lead a startup which is “MIELICE…mon Délice” My up most wish is to mark my society greatly and serves as an example of others. Personal motor: DREAM BIG AND BELIEVE IN YOU. Nature of the project: ECODOME Morocco is an executing company of eco-tourist premises based on natural earth in the form of domes. The creation of our start-up is in order to solve the problem of unsafe housing in Morocco by proposing a method of construction cheaper, stable and ecological. The project has enormous potential in terms of building infrastructure for eco – tourism; including gites and guest houses. Biography: Youness OUAZRI, A civil engineer from Ecole Hassania des Travaux publiques in Casablanca Morocco. Co-founder and CEO of Ecodome Maroc; an entreprise that builds eco-touristic resorts based on rammed earth in shapes of domes; and a former structural engineer at TechEtude Office and former vice-president of Enactus EHTP association. Nature of the project: C&Scouture is a social enterprise that creates, manufactures and markets tailor-made and personalized clothing according to the taste of customers through a mobile application. C&Scouture works to create jobs for Moroccan women. The idea is to take advantage of the skills of precarious seamstresses by integrating them into a productive and innovative production system. Biography: Sarah ELMIFDALI, 21 years old and Moroccan Entrepreneur. Currently a student of Communication at the Faculty of Humanities and Humanities of Rabat, participant sponsored in the #LaRouteDeLaCom program by the Cercle des communicants francophones in Paris Co-founder of the C&Scouture social and ethical startup aimed at promoting and creating employment in Africa. Laureates of various programs and incubators providing mentoring, coaching and funding such as Dare Inc of Moroccan CISE supported by the DROSOS foundation, EMPACT program by OCP Entrepreneurship Network, EnappChallenge supported by Samsung and Pitch Lab 19 of NewWorkLab and communication training workshops, Finance and Networking for Women Entrepreneurship in partnership between TheNextWomen-Tunisia and Konrad-Adenauer-Stiftung. Nature of the project: FIYEN is a Wi-Fi network solution that offers its customers access to the Internet in accordance with the law and secured in Travers Bamako and its surroundings. The FIYEN solution is characterized by two types of access: Residential access through a reception antenna installed at customers’ homes. Mobile access through Wi-Fi hotspots in high-concentration areas secures your Internet access by prior identification of the user by his access code available from our resellers and distributors. Biography: Experienced growth marketing with a backgr ound in sales and 10 years experience managing different project in a high volume. Seeking to leverage strong leadership skills and expertise to increase excellence and content delivery in IT domain. Nature of the project: Start-up that integrates innovative and local solutions to solve specific problems. Participate in the development of Africa through our business, namely ICT. 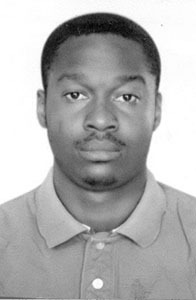 Biography: Hamed BAMBA, Coming from a Master’s Degree in Computer Science Option Software Engineering, he first worked for BICICI, which enabled him to improve himself and know the digital environment, and then gradually assumed consulting positions for WOORY TECHNOLOGY and CARL AND D on the projects financed by the WORLD BANK. Today installed on his own account as CEO of the Centre ivoirien de Traitement de Données-CITD. Nature of the project:The platform www.miledoo.net allows the user to create his virtual shop and to expose these products for sale online. 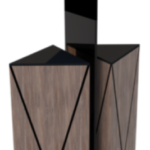 MILEDOO is a place of sale in the virtual, will soon be in all physical markets with trash cans connected thus ensuring the cleanliness of these. Biography: I am of Togolese nationality. I was born in Lomé 23 April 1987. Aged 30 and living in Lomé, I call myself Ayawovi Mawussé N’tsuwodji AMEGNITO. With a bachelor’s degree in electronics in 2011, I have a good knowledge in electronics and amateur programming Arduino. Being passionate about new technologies, in 2014 I obtained my patent of higher technician in application development. Not loving procrastination and rigorous in work, I am always willing to gain experience. Nature of the project: AIDE NUMERIC SARL is a start-up start-up that provides users of computer equipment (Computer, Smartphone, …) two simple and accessible ways to respond more quickly to their computer problem. These two means are: The purchase of an intervention ticket “AIDEMOI” online on its website. The “AIDEMOI” intervention call, which will be invoiced per minute through our SVA number. These two means will allow a customer to receive assistance or troubleshooting to solve their problem. Biography: My name is Scudier Jean Marie N’DADJIMBAN, I will be 40 years old on 09 November 2017. I was born in ABOISSO, a town in the south of Côte d’Ivoire. After my baccalaureate, I graduated from high school to obtain a BTS in Industrial Computer and Maintenance in 2000. I worked for 17 years. I am an entrepreneur since 2010. Today I am the manager of the start‐up AIDE NUMERIC SARL. Nature of the project: Enlighten the business environment, put IT at the service of the trades. VITNET Establishes a database, a monitoring service on the business environment, the approach is to give answers to investors, and make information accessible. 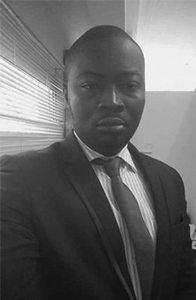 Biography: Kouassi Armel DJEREKE is an Information Systems Engineer and a Strategic Watch Consultant. He has 7 years of successful experiences as IT project manager and 5 years of successful experiences as a strategic consultant and security of information assets. He has managed IT projects whose impacts ranged from the scale of a company on a national scale to public and private organizations. He is a strategic business intelligence consultant who has advised and trained executives and set up strategic intelligence systems. Nature of the project: Atre is a company specialized in the sale and delivery of food products through its service to the market. We offer over 400 high-quality local and imported food products through this service. 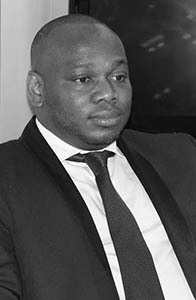 Biography: Kouadio Marcel YAO is an Ivorian entrepreneur born on 19 January 1985 in Diégonéfla, Côte d’Ivoire. 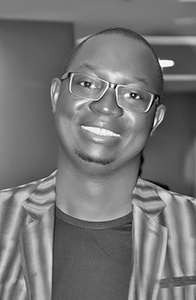 He holds a Master’s Degree in Advertising Communication from the University of Ouassara of Bouaké and single. He is the founder of the startup atre specializing in the sale and delivery of home food products. He is also a graphic designer, an advertising blogger and a photographer. Nature of the project: “Namcredit”, offers money transfer services based on Mobile Money, communication credit refills and activation of online internet package to Togo (country of experimentation). Biography: Graduated from the university of Technology of Troyes, I am working as a technical consultant and software déveloper in an IT consulting company in France. 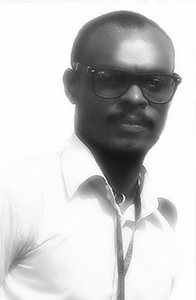 I also hold a Bachelor’s degree in Software Engineering from the African Institute of computer science, (IAI-TOGO). Entrepreneur and director of Namcredit, a startup that proposes services such as money transaction form anywhere to Africa, I’m 26 years old. Nature of the project:The SEMOA team works to bring a solution to the development of e-commerce in Africa through an ancestral means of payment but revisited. Our desire is to position ourselves as an alternative to the bank card and Mobile Money. Through our CashPay service, which relies on a network of multi-service kiosks, we want to become the first financial partner of Amazon when they arrive in Black Africa. 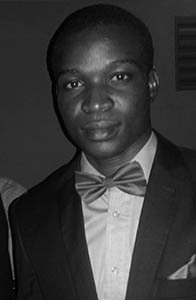 Biography: Edem ADJAMAGBO is an engineer in Business Intelligence, CEO and Founder of Semoa Group. “My spearhead: improve the daily life of Africans and allow the Disaspora to keep in touch with thier family and friends”. He also works with universities as a trainer/seminarist but also in Togolese incubators in coaching startups and as a speaker. Nature of the project: SenMobile is a social startup offering a digital program after school established in Senegal, it aims to reduce social inequalities. SenMobile offers an alternative education model that allows CI students at the terminal to improve their skills by using technologies and becoming actors rather than consumers of technology. 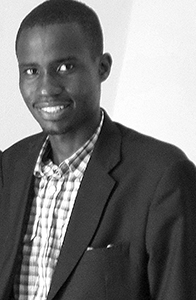 Biography: Babacar DIOP is an entrepreneur working on issues related to education in Senegal. He has a passion for technology. He is co-founder of mJangale (www.mJangale.com). mJangale proposes a digital afterschool program and aims at eliminating social inequalities in Senegal. Babacar devotes his time to the establishment of digital programs from 1st to 12th grade across Senegal. Nature of the project: NVERSE is the first Ivorian eco-industry specialized in the collection of used ink cartridges and the manufacture of remanufactured ink cartridges. NVERSE has a double vocation; actively participate in the reduction of waste and the safeguarding of the environment and create local and sustainable jobs for people in difficulty of integration. Biography: JI am FADIGA Karamoko, founder of the start up NVERSE. Holder of a BTS in finance, accounting and business management in 2010. Since 2007, I do research and development in the technique of remanufacturing of used ink cartridges. In August 2016 I create the eco-industry NVERSE specialized in the collection of used ink cartridge and the remanufacturing of used ink cartridge. In the same year, NVERSE obtained the INDUSTRY prize from the CGECI Academy business plan competition. Nature of the project The SOFASAC (bag manufacturing company) specialized in the manufacture of biodegradable bags of high quality, strong and resistant allowing the whole population to carry their various purchases. This company responds to the government’s call forbidding the use of plastic bags. Biography: SILUE Hamed Stephane, is a young Ivorian born in Marcory in the 1990s. Driven by curiosity and the will to undertake, he abandons school benches and starts mechanics from an early age. After years of training, he graduated, a CAP in general mechanics. It creates its first structure SORES (Company of Regulation of Spaces and Sabots) created on 16 October 2014. Always on its way, he sets up a second one in December 2015, the Cabinet U E Assitance&Councils (Cabinet Unit Education Assistance and Advice ). 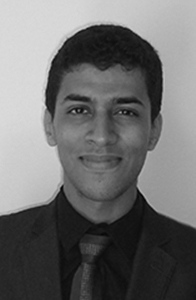 At the age of 25, Hamed Stephane SILUE created SOFASAC (Société de Fabrication de Sacs) on April 4, 2015. Today, 27 years old, he runs his SOFASAC structure with strength and conviction. Nature of the project: BeGreen is a startup that makes in the transformation of plants (Moringa and Stevia) into natural products such as moirnga steviet tea, Moringa powder that help to fight and prevent cardiovascular disease. Biography: Cynthia Kevy TCHOUTA LEUWAT is a Chemical Engineer, Co-Founder and Chief Executive Officer of BeGreen-Health is Wealth. She is based in Cameroon, her home country where she works on her startup which deals with the transformation of plants(Stevia and Moringa) into natural products which helps in preventing and fighting against cardiovascular diseases. Cynthia is part of the new generation of African Entrepreneurs who are determined to buid a better Africa. Nature of the project: Our Start-Up was created to resell personalized welcome products (purchased from experts in this field) to hotels in Côte d’Ivoire. We add to these various amenities delivered to hotel complexes, information of their own. Biography: Born on 23 August 1986 in Yopougon (Abidjan), he obtained his BTS Option Communication d’Entreprises in 2011 at the Professional Institute of Notre Dame de la Paix in Treichville. As a result of this diploma, he began working as an Insurance Salesman at NSIA-VIE before becoming Customer Advisor Incoming Calls at the Orange Call Center. Wishing to bring palpable solutions to his entourage and having understood that entrepreneurship is an effective way to get there, he decides to take action by first creating ASER BUSINESS (HOTEL AMENITIES). Nature of the project: Yoobit.com is an educational social network allowing all users to create their own e-learning platform. It promotes digital training and facilitates access to education in Africa through digital. Biography: 31 years old, Network Engineer & Social Media Manager, very passionate about the digital environment. I have always dreamed of undertaking, something which I have rapidly begun since early age. I join the yoobit team with the objective to transform Africa through technological innovation. I am a member of the Junior Chamber International and a volunteer trainer for ONG with the aim of popularizing ICTs with women and enabling them to boost their business. Nature of the project: Ordering platform and delivery of meals from home restaurants. Focuses on solving the problem of lack of online ordering service for meals. 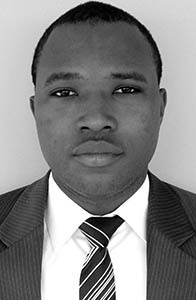 Biography: Emmanuel Boris MELONG TSEMO, 25, Cameroonian of nationality. Graduated from L’ESSEC business school in Douala, Cameroon. 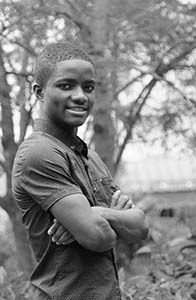 Emmanuel is a young entrepreneur who is passionate about innovation and is very interested in the development of Africa. It wishes to contribute to the development of Africa by creating jobs in various sectors. Nature of the project: Economy car wash service at home and in business. Triton moves to the customer for internal cleaning, suction from the passenger compartment and external car washing with 30 liters of water and biodegradable soap made locally by women. 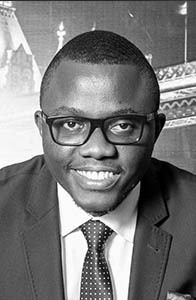 Biography: After his studies in New York and Boston and an international work experience in investment banking, Jean Philippe HOUSSOU returned to Africa in 2016 for new challenges. Due to a lack of time and unable to go to a car wash center to clean his vehicle, he manufactured a mobile car wash system and launched Triton. In 13 months of activities, more than 4000 car wash services have been offered and 25 direct plus 5 indirect jobs have been created in Cotonou. 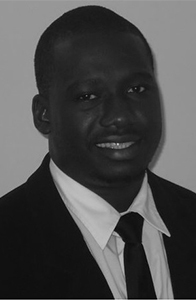 Jean Philippe holds an MBA in Strategy, a BBA in Accounting / Economics and a Diploma in Fluid Mechanics. Nature of the project: Project Isizwe is a non-profit organization which aims to bring the internet to people across South Africa and the African continent, by facilitating the roll-out of Free Wi-Fi in public spaces in low income communities. The core focus of Project Isizwe is to harness the power of the internet in low-income communities for education and use it as a catalyst for change. 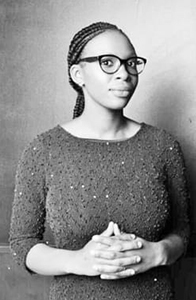 Biography: Dudu MKHWANAZI is the Chief Executive Officer of Project Isizwe, the South African non-profit organization that advocates for free internet access within walking distance of every citizen in low-income communities. Project Isizwe has facilitated the deployment of the largest free Public Free Wi-Fi network in Africa in the Tshwane Municipality, Gauteng, South Africa. Dudu MKHWANAZI completed her undergraduate degree in Public Administration at North West University (Vaal Triangle Campus), before pursuing her Honors Degree in Political Science also at North West University. 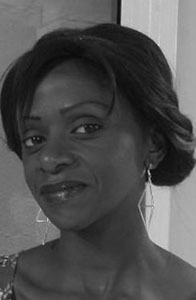 In 2013 Dudu embarked on her Master’s Degree in Public Policy and Comparative Politics at the Université Montpellier in the South of France. Nature of the project: Agribusiness TV is a webtele whose mission is to use video as a tool for promoting and re-evaluating the agricultural sector in the eyes of young people by showing the successful paths of young agricultural entrepreneurs and their innovations in Africa. 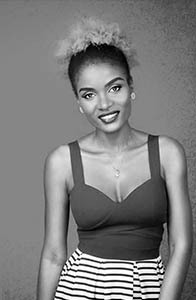 Biography: Inoussa MAIGA is a journalist, medias consultant et founder of Agribusiness TV, the first webTV in Africa designed for mobile phones showcasing success stories of young agricultural entrepreneurs and their innovations. Nature of the project: Promotion of low-cost technological solutions to boost the village economy through agriculture. Biography: El-mi iradj SANNI, born in 1992 in Porto-Novo and at the same time attended the courses until obtaining the BAC in 2012. Then the License in agronomic science in cotonou in 2015. To all this is added the death my father is my 10 years old and my mother’s in 2016 who forged a spirit of independence in me in addition to the problems encountered in the job market, having contributed to my person today. As a result, I embarked on an entrepreneurial journey in November 2016. Nature of the project: PBA is part of the zero-waste circular economy by accompanying agricultural cooperatives with dates to sustainable and optimal practices. Having inherited a palm plantation, I am committed to perpetuating this know-how in a logic of local development, sustainable and solidarity. This project responds to many societal needs such as the fight against desertification and soil pollution, the creation of permanent jobs and the valorisation of biomass. Biography: After studying at ESCP Europe in social entrepreneurship, Jamel inherit a palm grove created in 1870. He decided to work on agrobusiness and Blue economy (circular economy) in order to valorize and assist dates farmers all over the world. Nature of the project: E-commerce sites have products for sale to consumers (restricted choices) OUTALMA removes barriers and widens the choice of consumers by making available all the offers that exist on the web through its platform www.outalma.com, its various channels of communication (Facebook, Twitter, Snapchat, Instagram, Viber, WhatsApp) and its physical agencies in Senegal. OUTALMA offers a payment service for customers who do not have a credit card on the one hand and a logistical service to deliver everywhere in Africa (in Senegal at first). 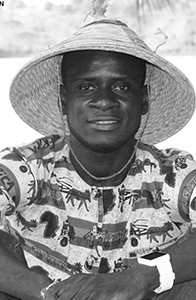 Biography: Cheikhna SARR is a young Senegalese business owner. 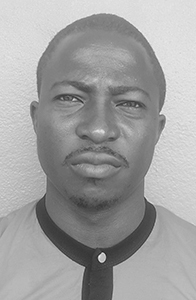 Cheikhna is also an engineer and consultant in Mechatronics. 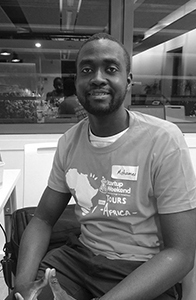 He created Outalma.The goal of this startup is to provide solutions to solved the problems of e-commerce development in Africa by setting up relay points in the major cities of Senegal. 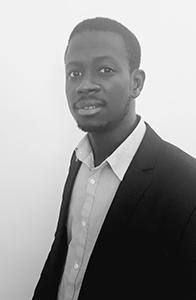 Cheikhna SARR is also the founder of ABSAR Consulting, his company supports the development strategy and renowned partners such as SIEMENS, Continental and PSA Peugeot Citroën. Biography: Amal KENZARI. 25 years old, I live in Morocco Casablanca, I am an engineer in process and environment and I accumulated a first experience in the industrial and environmental fields through internships in different industries. I was project manager and after technical and visual manager during my two years in ENACTUS of my faculty. I am passionate about graphic design, environment and social impact. My experiences in the industry and in Enactus have allowed me to manage our project and grow. . Nature of the project: A communication agency specializing in the promotion of Mandingo and African fashion through a concept of valuing actors in this sector and their creations via a web platform, a magazine and specific services with added value. 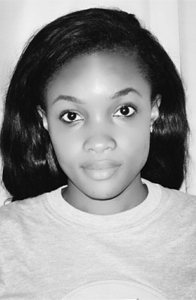 Biography: Fatou DIABY is titular of a BTS in Finance accounting. She is currently promoter of jolidéh concept after having occupied the station of banking agent to the BSIC and of commercial manager within the HR firm EV4LS. Nature of the project: GRAINOTHEQUE is a start-up that works to strengthen the productivity of peasant agriculture and its adaptation to climate change through innovative tools to preserve the genetic diversity of seeds, integrated pest management, water and climate risk management. Its main technological product is a smart mobile plant diagnostic application to help farmers recognize the major pests and some physiological disorders that can affect crops in tropical areas to improve crops. Biography: Agroecologist, Blogger and graduate in marketing and project management. Daniel is the winner of the Francophone Green Entrepreneur Award with the Climate Initiative Trophy 2017 and several other awards. At 28 years old, he runs the start-up seed grain, a social enterprise that works for the enhancement of the genetic diversity of nursery plants in Africa. Nature of the project: ICT4DEV, or improving ICT living conditions, is specialized in the development and integration of innovative solutions to solve the daily problems of African populations especially in the agricultural sector where we have identified problems related to access to information, training, organization and openness in a wider market. The refusal of the change of habits towards digital due to illiteracy and the digital divide is the main risk identified. Nature of the project: YEFA is a platform that centralizes all opportunities for study (scholarships, refresher courses, mobility programs, call for applications, subsidized training). 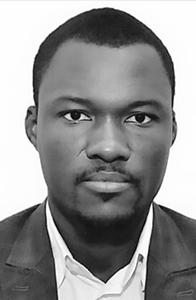 Biography: Holder of an engineering degree in Computing Sciences of the superior New school of Engineers and Technologies (ENSIT, Ivory Coast), Konan Henri BROU defends the idea which the development of the African countries spends by a better access of his(her) young elites to the education. This is the way, to give a run-up to its opinion, this enthusiast of the TICS of 29 years developed a digital platform which centralizes and structures the opportunities of studies and program of mobility for the young natives of the Ivory Coast and more widely for the African young people. Nature of the project: Young Power is a startup that works to develop and market innovations that bring concrete solutions to farmers’ problems. The first and main project is an invention known as the SIVE rubber latex cup protector which is a plastic device that protects cups that collect rubber latex from rainwater that causes huge losses of production estimated at more than 35%, deteriorate the quality of production and contribute to impoverish the farmers. Biography: Sevi Samuel N’Guessan GBEKON, is 23 years old and is an Ivorian. He is a young entrepreneur and Inventor of rubber latex cup protector denominated ” SIVE ” which is a device designed to help all famers of natural rubber tree to protect their rubber cups against rainwater that causes huge losses of productions and also damage the quality of products. Samuel is the winner of 10 national and international awards. He was involved in entrepreneurship at the age of 17 and was still motivated by his quote, ” I don’t want to be part of those who pass through the world but of those who postively Mark the world”, pronounced when he was 14 because to him, the history of his country and his continent must not be able to be written without his name appearing there. Samuel represents for many young people a source of hope and inspiration. Now he is Founder and CEO of Young Power. 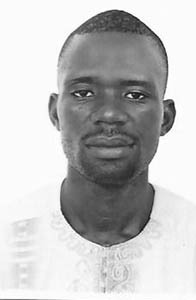 Biography: Mammadou Yebhe BAH, born in Guinea in 1981, an engineer in agroforestry training, converted into aeronautical research at the maintenance hangar Air Guinea Conakry and later in the design of wind turbine for basic electrification in the rural environment. Founder of Eol Guinea and technical manager. This function has been in place since 2014. Eol-Guinée is specialized in the design and manufacture of wind turbines for domestic use with local materials. 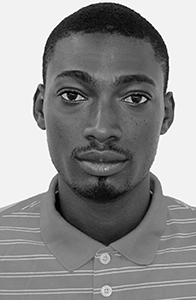 Biography: Born in May 1990 in Yamoussoukro, Côte-d’Ivoire, Adou Constant KOUAKOUTIÉ is a young entrepreneur, founder of the Start-up CARTO-CI, a company operating in the field of cartography, computing and geolocation . His studies in petroleum engineering, specializing in Geographic Information Systems (GIS) and digital cartography, have allowed him to have a broad visibility on many problems of society which find their solutions in the practical application of cartography. Adou Constant KOUAKOUTIÉ is today recognized as the father of a new way to alert emergency, security and emergency services in a single click with a mobile application that he has named Mobiladdress ADOU (Application Dedicated to Operations d Emergencies) Her dedication to work allowed her to receive an encouragement award at the 2017 Games of La Francophonie held in Abidjan in July 2017. Nature of the project: Carmine is the first car-sharing service in the MENA region that aims to make vehicles and vehicles available to individuals and companies on an hour or a day basis with fuel, including insurance. Socially, Carmine plans to participate in the reduction of congestion, parking problems and pollution in the cities where she operates. 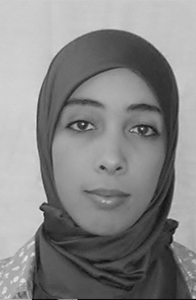 Biography: Moahmmed MRANI ALAOUI is a Moroccan entrepreneur, currently focusing on building innovative consumer services. The type of products and services that make lives easier and more rewarding. 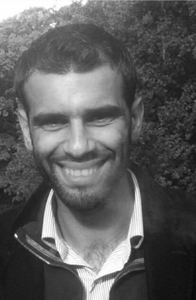 His first entrepreneurship project is Carmine, Morocco’s first car-sharing service. 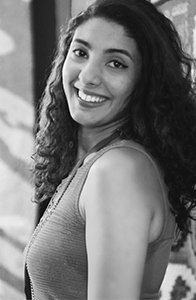 Moahmmed MRANI ALAOUI studied Actuarial sciences at the University of Montreal and Finance at Hult International business school. 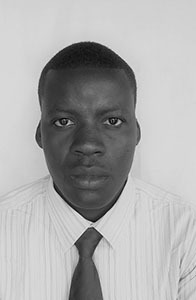 Although entrepreneurial in college (buying and selling of electronics) Mohammed sought work experience with established companies’ post-graduation. He joined Endeavor as a business analyst. Biography: Born on 06-07-1980 of a family of 10 children as a cadet, he studied elementary school in F2, a basic electronics course in Yamoussoukro. 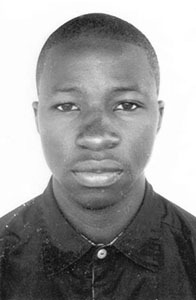 After the BAC, he joined the economic capital Abidjan for studies in computer science. 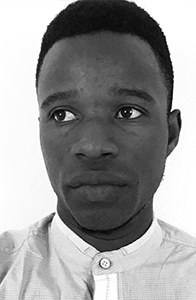 From his first years in BTS Kouamé Jean Marie KOUASSI began to develop ideas of creation of company, which will later lead him to create his own structure Touch Com. Nature of the project: Ets CHIC CAFE CHOCOLATE is the initiative of 5 young engineers in Agro-industry. Promoting the price control of our agricultural raw materials and the employability of youth, especially of women, is our ambition. For this ECCC improves the taste of local yoghurt through coffee ingredients, and cocoa. Nature of the project: This startup was created in order to solve the problem of the inaccessibility to the broadband Internet and the energy deficit of the populations. Also in countries and regions where mobile telephony operators and home electricity distributors do not arrive in order to allow those formerly disconnected populations to have access to broadband internet to electricity, and information. 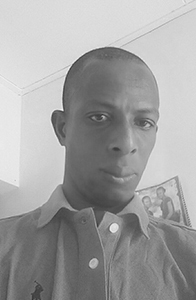 Biography: Ange Frederick BALMA, is a computer engineer, graduate of high technological studies in electronics and entrepreneur since his 18 years where he creates his first company. In 2008, he created Groupe Alliance, which has a network of travel agencies with added-value services added across the country. In 2004, he created a Startup named LIFI LED Côte d’Ivoire. This technology allows the transmission of data and internet via the light, the LIFI terminal. This technology brings together electricity, the Internet, television and multimedia content in all areas of the country even the most remote, especially in rural areas. Nature of the project: INVIA Farms is an agribusiness investment platform that allows the use of mobile phones to develop e-agriculture; allow small farmers access to credit. This can be done by gathering information (weather, agronomics, farmers, the state, etc.) and using them to construct rating models on a scale of risk, reliability and profiles of farmers that Financial Institutions can use to provide of loans to farmers. 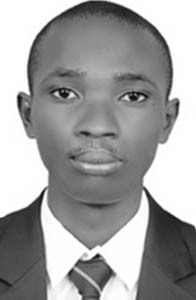 Biography: I had a BAC C at the Prytanée Militaire of Kadiogo (PMK), then DTS Industrial and Electronics Engineering at the Higher Institute of Electrical Engineering (ISGE-BF). In addition, active member of IWILI PROJECT Entrepreneurship Network, YOUTH GAIN Start-up Network, JOHN MAXWELL TEAM Country Leadership Circle and Rotary Club International (Club Crystal). Nature of the project: Farmcrowdy is an Agric-Tech platform that gives Nigerians the opportunity to participate in Agriculture by selecting the kind of farms they want to sponsor. We use the sponsor’s funds to secure the land, engage the farmer, plant the seeds, insure the farmers and farm produce, complete the full farming cycle, sell the harvest and then pay the farm sponsor a return on their sponsorship. While this farm process is ongoing, the farm sponsors are able to keep track of the full-cycle by getting updates in text, pictures and videos. Biography: Onyeka AKUMAH is the Co-Founder and CEO of Farmcrowdy – Nigeria’s first Digital Agriculture platform. Prior to Farmcrowdy, Onyeka has been involved in the inner-workings of some of the leading Internet businesses in Nigeria. Such businesses include Konga.com, Jumia.com, GTBank, Deloitte, Wakanow.com and Travelbeta.com. Despite earning a first class degree in Applied Information Technology at the Sikkim Manipal University, India, Onyeka’s eye for marketing led him to focus on the user-experience and customer journey of selling products and services of technology-reliant organizations. Nature of the project: Bio Phyto is a solidarity-based company that produces and markets biological inputs based on local natural resources, respecting public health and the environment to ensure the protection and growth of plants. Biography: Gildas ZODOME receives basic training in agronomy. Doctorate in Environment, Health and Development at the University of Abomey Calavi (UAC). He holds a Master’s degree in Regional Integration and Development in Risk Management and Disaster Management at UAC. Holder of a Professional License and a Diploma of Agricultural Tropical Studies (DEAT) in vegetable production. 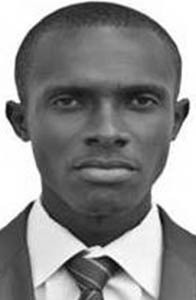 Gildas worked at the National Institute of Agricultural Research of Benin (INRAB); the International Institute of Tropical Agriculture (IITA), AfricaRice as a technician and also worked for 5 years in the civil service as agricultural adviser in rural areas in the Ministry of Agriculture. In 2012 he leaves this position to create Bio Phyto, of which he is the Director. Nature of the project: Afrodict is the 1st internet platform for booking beauty and wellness services in Côte d’Ivoire. From the mobile application or on the website, you can book all your beauty services (hairdressing, make-up and others) anywhere (at home or in the office) and at any time (7 days a week, 24 hours a day). Biography: Ms. Masha AKRE CEO and founder of AFRODICT, holder of a Master 2 in Law and Humanitarian Action, after having worked in an international organization for 6 months, is converted to the profession of professional makeup artist, she counts to date 6 years of experience in the field of beauty as a professional make-up artist; She was project manager and consultant for international makeup brands (Maybelline New York – Niwel); She is blogger beauty, member of the Association of Bloggers of Côte d’Ivoire and youtubeuse beauty (Glamourissime TV);Beauty editor for women’s magazines online Ayana and Flashizblack. Biography: For almost 4 years, accompanied by my partners, I have traveled more than 8000kms through the Cameroonian territory to train girls and women in good practices in menstrual hygiene. It is more than 10,000 women and girls sensitized on the management of their menstrual hygiene and more than 35000 FAM washable sanitary towels distributed. In 2017, menstruation should no longer be considered a disability, nor a disease but a natural event of the cycle associated with life. Nature of the project: Vugapay is a mobile application enabling users to transfer funds and paybills across all networks and platforms. Many users have the challenge of cross platform challenges which Vugapay comes to solve by connecting all available platforms that is mobile money, bank accounts, debit and credit cards, Bitcoin and paypal. Biography: Cedrick MUHOZA is an entrepreneur, designer and a programmer. he loves open source technology and socially responsible business models. Cedrick has been building a mobile money cross-platform solution including a payment gateway for unbanked individuals in emerging markets – Called VugaPay. Nature of the project: Yob Technologies has set up the E-SOUKLOU project which is based on the following tandem: the Visualizer, our digital device that puts the practice at the heart of the training and the mobile application Smart-Orientation which is a virtual help of orientation. 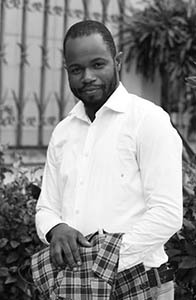 Biography: N’Guessan Jean Raymond YEBOUE is a computer engineer from Ivory Coast aged 30 years. He worked successively at the Ministry of Higher Education and Scientific Research and at the Ministry of Technical Education and professional Training. Having identified several problems in the field of training, I decided to build my own Startup based on technological innovation to solve these social problems. I have won awards including “the Award of the best Digital Initiative 2016” in Ivory Coast. Nature of the project: TakeUpAfrica whose mission is to support students to build a study and professional project with coherence based on relevant information on training institutions. Through our platform, we are also considering the facilitation of access to documentary resources. Biography: I am from Niger and recently graduated from the Sup’Galilée engineering school in Villetaneuse (France). 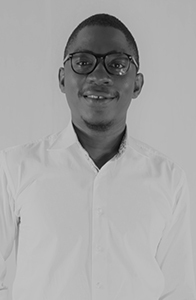 I am a co-founder of a start-up in the field of education, TakeUpAfrica, which aims to promote the best universities in Africa and thus facilitate the guidance, the success in studies and also in professional life of young people. Nature of the project: Sunculture was founded on the triple-bottom-line idea that profit generation should be complemented by environmental and social value creation that visonary companies can create all three simultaneously and at massive scale without sacrificing financial returns. SunCulture provides farmers around the world with the tools, knowledge, and financing to make them successful. 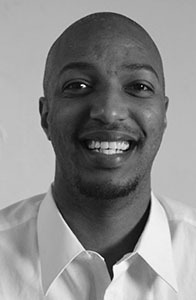 Biography: Samir IBRAHIM is the CEO and a Co-Founder of SunCulture, headquartered in Kenya. SunCulture sells affordable solar-powered irrigation solutions to smallholder farmers in East Africa. 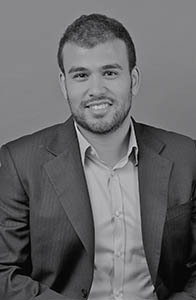 Prior to SunCulture, Samir studied finance and international business at NYU’s Undergraduate Stern School of Business and joined PwC’s Financial Services, Structured Products, and Real Estate Group. He has spoken about the private sector’s role in development and on financing climate compatible development to a number of audiences such as the Vienna Energy Forum, International Parliamentary Conference, COP21, and the World Energy Congress. 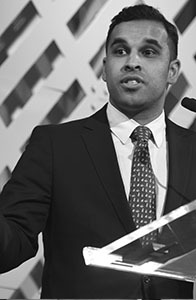 Samir is also recognized as a World Energy Council Future Energy Leader and a Forbes 30 Under 30. Samir’s family comes from the region explaining his interest and strong connection to it. Nature of the project: Tech-Innov is a social enterprise promoting rural innovations registered under the laws of Niger, located in Niamey New Market District, Niger. Tech-Innov is a company that develops breakthrough innovations for Africa. For five years, it has built its reputation on economic and social values. 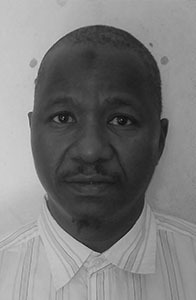 Biography: Souleymane ROUFAI KANEA gronomist design engineer specialized in irrigation and technology transfer since 1994. He has held several positions of responsibility in the state services of NGOs and projects. Souleymane ROUFAI KANE is married and has five children. Nature of the project: SCA helps small farmers to manage their farms responsibly. In return, we help them to have big markets with prices and quantities fixed in advance to prevent village production from being lost. We started with cereals (corn, soybeans and beans). 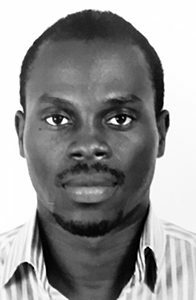 Biography: Fabrice TAGRO is a young agro-dynamic entrepreneur who believed in subsistence agriculture. He has both the naivety of a teenager who believes that he can change the world and a keen mind and pragmatic approach, which allow him to address obstacles with audacity and insurance. Nature of the project: ARED is a hard-tech as a service company (HAAS) based in Rwanda and Uganda. We developed a business in a box solar kiosk, app and software platform that empowers mostly women and people with disabilities using a micro franchise business model.We offer key services on the kiosk such as internet WIFI, intranet solutions for offline users and phone charging services. Biography: henri NYAKARUNDI was born in Kenya but grew up as a refugee in Burundi. In 1996, because of the war in the Eastern Region, his parents decided to send him to Atlanta to finish his studies. He obtained a degree in computer science in 2003. 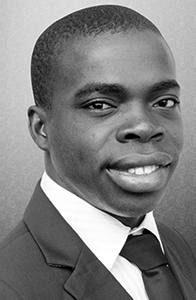 In 2008, after 10 years as an entrepreneur in the United States, henri NYAKARUND wanted to use his skills to take up one of the biggest challenges facing the African continent, namely the war against poverty. 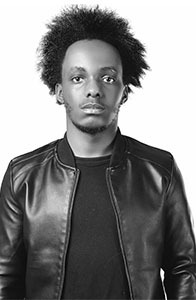 As a passionate Rwandan entrepreneur, determined to create solutions to tackle youth unemployment in Africa and lacking connectivity to electricity and internet access, he decided to return to East Africa in 2013. Thanks to Shiriki Hub, his innovative box solution company, he created employment opportunities in local communities to create income-generating solutions, as well as Internet access, necessary utilities and unic content. Nature of the project: Agri-Siloé is a social enterprise with a collaborative, solidary and responsible economy specializing in the production of vegetable oils and butters, first cold pressed, including Moringa oil, sesame oil and mango butter. The women’s cooperatives (60 women) who supply raw materials are members of 10% of the company’s share capital. The products treated with a good dose of modernity and innovations are GMO-free, paraben-free, synthetic perfume preservative and colorant. 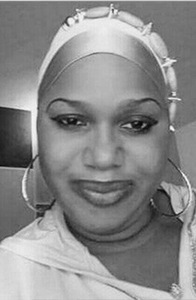 Biography: Mahuti Rodrigue Landry BADEDJI, of Beninese nationality was born June 10, 1985 in Parakou. Agroforestry training; specialist in issues of sustainable agricultural values and innovation platform channels, he fought in many social movements favourable to the empowerment of women in rural areas. Holds a degree in rural sociology, he founded with a team of dynamic young people and committed, a social enterprise in collaborative economy promoting the development of our local resources with a good dose of modernities and innovations by the installation of a vegetable oil factory. He is Manager. Nature of the project: Zelij Invent is a Moroccan based startup that produces and markets environmentally friendly flooring products such as pavers and tiles based on 80% recycled plastic, the aim of which is to permanently reduce plastic waste in Africa. Zelij products have the same characteristics of ordinary products while being tougher, durable and cheaper. 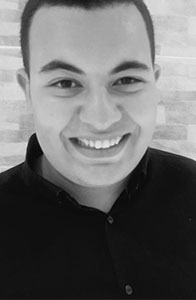 Biography: I’m Saif Eddine LAALEJ a Moroccan entrepreneur and CEO and co-founder of ZELIJ INVENT. I’m also a student at the National School of Business of Tangier and part of the SWITCHMED network and ENCATUS Morocco. Nature of the project: TENON CORPORATE is a web agency advising practicing in web development, mobile application publishing, advertising media design since June 2014. In close collaboration with our partners, we determine the image of their companies to implement. before, the values to promote, the modes of communication to privilege, the partners to associate. We help with the sole purpose of successful communication and boosting the brand image. We currently have a client database of institutions, investment banks, and private and public companies. 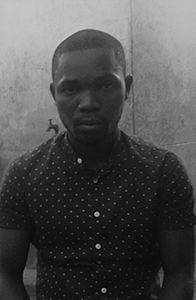 Biography: Tenon Brahima COULIBALY TENON Engineer in Software Engineering, Founder of the Start Up TENON CORPORATE is also a graduate in Visual Communication Option Webmaster. He began his career as a junior developer in a web consulting agency in 2011. From November 2011 to April 2013 he held the position of Web Solutions Integrator and Web-Designer. From April 2013 to March 2014 he is in charge of a new portfolio, this time that of developer confirm within a holding, OLA GROUP. From April 2014 to June 2014, he acts as a consultant for an advertising agency before resigning and creating his TENON CORPORATE structure, a Digital Communication Agency. Nature of the project: This project is an investment project. It consists in making available to the population a set of data containing audio, photographic and video files. Indeed, it is a matter of installing a device in coaches (WIFI CAR) and in spaces containing a high population density such as hyper markets; airports; port areas; (…), which would allow people close to these places to have full access to all our media library without the need for internet. 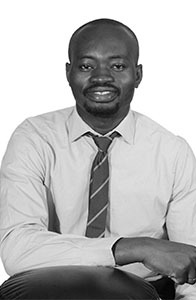 Biography: Youssouf BAKAYOKO is a 32-year-old Ivorian entrepreneur, founder and manager of Bhli Communication, Youssouf BAKAYOKO sets up a platform that sells music, film and concert tickets via mobile and computer without internet connection. 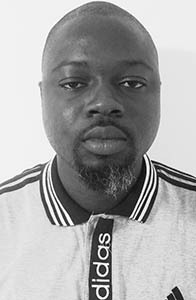 Working in the field of distribution of audio and visual works for more than 10 years, Youssouf BAKAYOKO has helped the Ivorian Copyright Office to set up a strategy against counterfeiting of audio and visual works in Côte d’Ivoire. 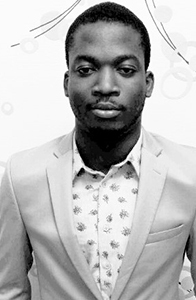 Youssouf BAKAYOKO is also a laureate of the Digital Youth Foundation in Côte d’Ivoire. Nature of the project: Stranvel is an online ticket booking service. The service allows the user to make his ticket reservation from a mobile phone or a computer connected to the internet. 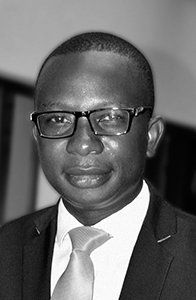 Biography: Armel Yves Guessan SERI is an Ivorian entrepreneur and CEO of STRANVEL SAS. Armel is also a 2016 laureate of the tonyelmelu foundation. He is an alumni of the American program “the founding institute” of the sillicon valey. Nature of the project: Asher services is a start-up evolving in ICT, it strives to bring innovative solutions based on ICTs to address the problem of optimizing the performance of companies of any size. She is trying to launch a first brand RYB (Run Your Business): Providing in multimode (Saas, intra …) a set of management application allowing companies to optimize their business and administrative processes. 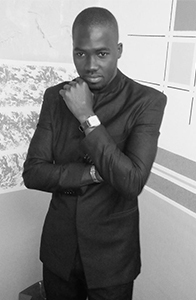 Biography: Born on March 12, 1988 in Marcory Abidjan, Schadrach Guy-Roland YEYE is single and father of a child. At the BAC + 5 level, he holds a master’s degree in MIAGE. Passionate of ICT, with practiced for 4 years in the TICs his entrepreneurial adventure dates from 2008. Having been in the intermediation agri-food, the restoration and ICT. There are a great number of awards: Laureate Jeunesse Numérique, Prodije (CGECI, ADB, UNIDO) and TEEF 2017. Nature of the project: FLE-BIO offers customers a variety of fresh and organic products. The current market is booming, the company will be able to find a place by offering a different service in a context where eating habits evolve in the direction of “eat healty”, with an increasingly demanding clientele regarding the traceability of products we offer. Biography: Kpandje Claude Stéphane AKOUA, of Ivorian nationality, resides in Abidjan. 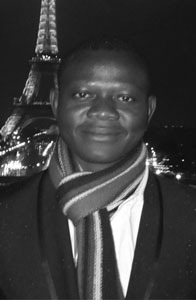 Kpandje Claude Stéphane AKOUA holds a Master’s degree in law from the Catholic University of West Africa in Cocody. He is also the founder and president of FLE-BIO vivriers plus, a start-up created in August 2017.